A group of Tunisian Delegates from Government and private dairy industry, visited Bavaria on 5 to 9 November 2018. 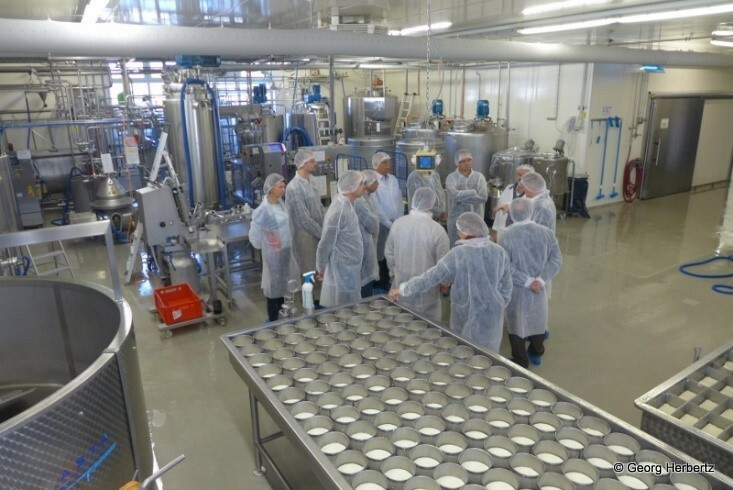 On behalf of GIZ, ADT Project Consulting GmbH had prepared their visit to the Dairy Technology Centre in Kempten and provided technical support during their visit to different actors and service providers in the Bavarian dairy value chain. The main objective of the visit was to gain a good understanding of the education system as offered in Bavaria for different professions in the dairy sector, in view of establishing a dairy education centre in Tunisia. This objective could become an activity under the Memorandum of Understanding recently signed between the BMZ, the Landesanstalt für Landwirtschaft and the Tunisian Government (OEP, APIA and AVFA). Several of the components of the Centre were included in the visit: the Dairy Technology School (Molkereifachschule Kempten), the demonstration farm (Spitalhof), the demonstration cheese factory. 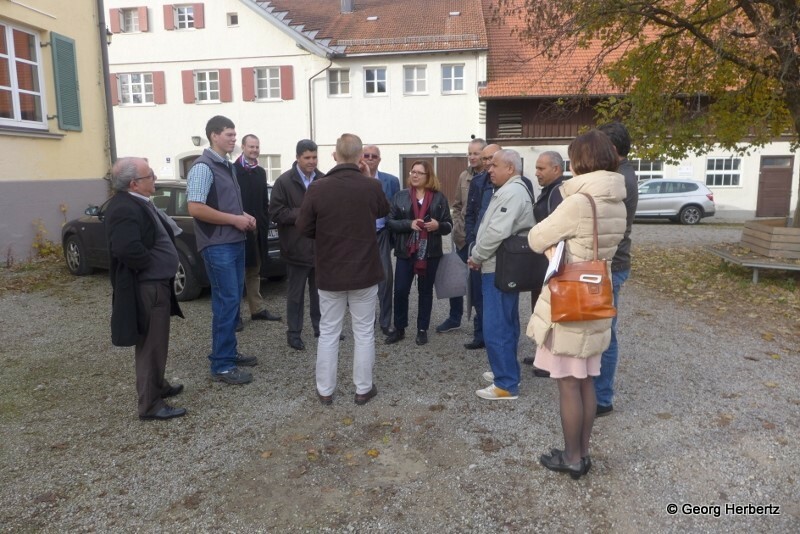 To demonstrate the private sector, a highly industrialised dairy (Ehrmann AG) as well as small scale dairies (Landkäserei Herzog and Berghof Babel) were also visited. A visit of the Bavarian Department for Agriculture (Landesanstalt for Agriculture) in Weihenstephan and a meeting with its Director, Dr Opperer added the political component to the visit. To get a good understanding of independent control of milk quality, as implemented in Bavaria, the group also visited the milk control institute (Milchprüfring Bayern) in Wolznach. The visit was concluded with a one-day workshop held in the GIZ International Training Centre in Feldafing. This workshop was organized to assist the Tunisian Delegation to brain storm on the best approach to set up a dairy technology school within the already existing education system in Tunisia and resulted in drafting of a roadmap. A follow-up meeting, again involving ADT, will take place in December 2018.